In collaboration with Dyer Island Conservation Trust in South Africa, the National Aquarium Denmark is working to save the great white shark. It is best known for devouring bathing beachgoers in American films. 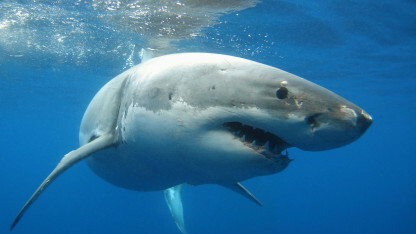 However, the great white shark is far from the monster it has been depicted as being – it fact, it is a threatened species. The National Aquarium Denmark – Den Blå Planet’s nature conservation project aimed at the great white shark is being conducted in collaboration with the Dyer Island Conservation Trust in South Africa, which both studies and works for the conservation of this fascinating predator, which is, in every way, the king of the sharks. Partners: Dyer Island Conservation Trust, South Africa.